products are no longer available for downloading. Learn more at www.burwenbobcat.com. controllers, enabling you to perfect the sound at your listening position. and provides high speed file conversion to processed stereo and multichannel formats. How does it clarify sound? music instruments, or dry acoustics at recording or playback. Why is AUDIO SPLENDOR essential? near optimum. No acoustic measurement or automatic equalization system is anywhere near accurate enough. 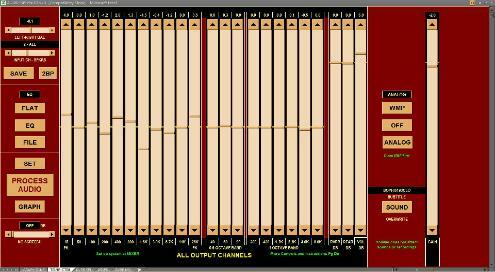 two-channel program material by adding subtle ambiance in all the channels. musical, and in 5 channels. from AUDIO SPLENDOR. BURWEN BOBCAT TONE BALANCER is the essence of AUDIO SPLENDOR. high frequency reverberation and NO SCREECH dynamic filter, to make new musical sound that is easy listening.